During the recent years the world of business has changed vastly. We the people of different walks of life cannot be able to imagine that what is going to be the future picture if this change continues rapidly like this speed. Today there are very much competition in-between them and for that reason each and every business organization are trying to provide better service for their customers and trying to marketing their product to the customers better than the competitors. We have learnt much about the Principles of Marketing .But don’t now how they are applied in the real lives. To find this out i.e. how they are applied in the real lives we were given this project. For completing this project we needed information and to extract information we had to choose a mobile phone service company. For this we have chosen a company both having a good deal of customers and facing stiff competitions in their own business environments. Taking information from them we have made our efforts to point out what are the marketing strategies and activities that these two companies sketch and undertake to remain unique, facing competitions and throwing challenges to the counterparts.We tried our best to fetch all the possible information and include them in a relevant manner. (Shareholder investment in less than 10% of a company’s capital) and bonds/loans are obtained from foreign banks. Marginal efficiency of capital can be difined as the highest rate of expected return from an additional unit of capital after covering all of its cost. Marginal efficiencyb of investments can be define as the hight rate of expected return from a given investment after covering the cost of the capital except the rate of interest. In its journey towards prosperity Bal1gladesh economy passed a crucially important phase during last five years. During this period the country’s economy regained stability following a process of recovery. The present Government had to confront the onerous task of managing an economy that became increasingly fragile due to economic mismanagement of the previous regime. In addition, the faltering global economy and the adverse impact of the September 11 shock further deepened the economy’s fragility and instability. Against this backdrop, The Government implemented a set of pragmatic recovery programs and restored stability in the economy. Still the prevailing imperatives dictate the need for deepening and expanding the already initiated reforms for infusion of in infusion of dynamism in the economy. In the socio-po1itical context of Bangladesh, though implementation of these reforms presented a formidable challenge, the government faced it successfully through its relentless efforts over the past one and a half year. Remittance by shipping lines, airlines, courier service companies: Foreign shipping lines, airlines and courier service companies may send abroad, through an AD, funds collected in Bangladesh towards freight and passage, after adjustment of local costs and taxes, if any. I Tax exemption on royalties, technical know-how fees received by any foreign collaborator, firm, company and expert. I Exemption of income tax up to 3 years for foreign technicians employed in industries specified in the relevant schedule of the income tax ordinance. I Tax exemption on income of the private sector power generation company for 15 years from the date of commercial production. I Tax exemption on capital gains from the transfer of shares of public limited companies listed with a stock exchange. 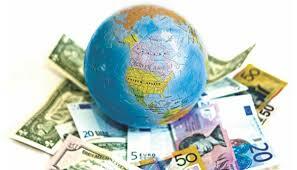 ü For foreign direct investment, there is no limitation pertaining to foreign equity participation, i.e. 100 percent foreign equity is allowed. Non-resident institutional or individual investors can make portfolio investments in stock exchanges in Bangladesh. Foreign investors or companies may obtain full working loans from local banks. The terms of such loans will be determined on the basis of bank-client relationship. ü A foreign technician employed in foreign companies will not be subjected to personal tax up to 3 (three) years , and beyond that period his/ her personal income tax payment will be governed by the existence or non-existence of agreement on avoidance of double taxation with country of citizenship. ü Full repatriation of capital invested from foreign sources will be allowed. Similarly, profits and dividend accruing to foreign investment may be transferred in full. If foreign investors reinvest their repatriable dividends and or retained earnings, those will be treated as new investment. Foreigners employed in Bangladesh are entitled to remit up to 50 percent of their salary and will enjoy facilities for full repatriation of their savings and retirement benefits. ü Foreign entrepreneurs are, therefore, entitled to the same facilities as domestic entrepreneurs with respect to tax holiday, payment of royalty, technical know-how fees etc. ü The process of issuing work permits to foreign experts on the recommendation of investing foreign companies or joint ventures will operate without any hindrance or restriction. Multiple entry visa” will be issued to prospective foreign investors for 3 years. In the case of experts,” multiple entry visa” will be issued for the whole tenure of their assignments. I Ensure that all boys and girls complete a full course of primary schooling. I Promote gender equality and empower women. I Develop a global partnership for development. The trade regime has been further liberalized by reducing the maximum tariff rate by 5 percent. Supplementary duty scheme has been rationalized by reducing the number of rates from 31 to 5. Import license fee on all imports has been withdrawn. I Improvement of existing capacity and quality of infrastructure development. Manufacturing continues to receive the highest FDI (74.6%).A tremendous growth in the manufacturing sector indicates prospective growth of the industry in the upcoming years. It will also facilitate creating job Opportunities and SME development. I have faced some limitations when I was preparing this report. I have visited the different instruction to collect necessary information and documents for preparing our report. The authorized persons helped us both primarily and secondarily keeping some secret. Some problem also occurred in calculating proper ratio data. However we have tried to overcome these problems and tried best to prepare the report to fulfill the requirements. Investment is very crucial for a developing country like Bangladesh. Cause investments create employment opportunity and distribute money in people’s hand.